The Explore Collection is perfect for people that are new to cooking and want to explore food, giving high performance without the complications. Each appliance has been designed to make your life in the kitchen easier with ergonomic designs and simple to use features. 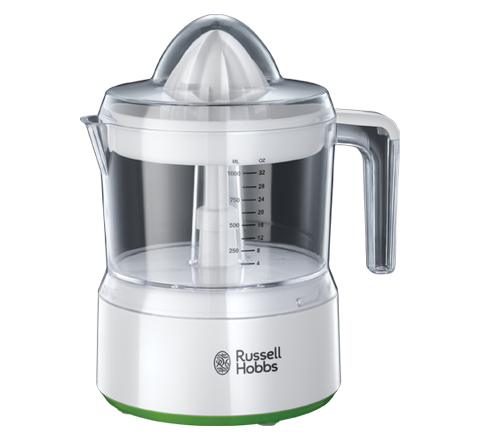 With Russell Hobbs high quality performance and a fresh appearance of white gloss finish and green accents, the explore collection is as stylish as it is functional. Whether mixing, chopping or blending, let explore do the hard work while you get creative in the Kitchen. All Explore products also come with a handy recipe booklet to get you started on your culinary journey! 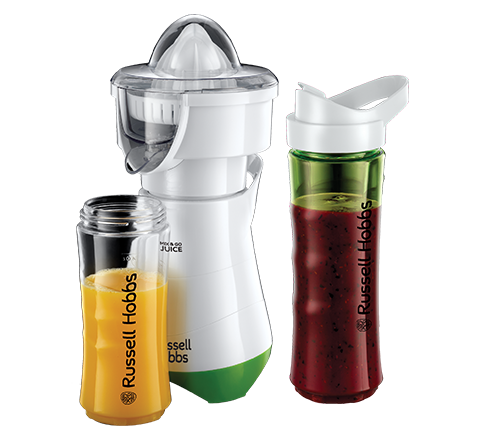 With two different bottle sizes, a citrus press, plus ice crushing, stainless steel blades, you can let your imagination and taste buds run wild. 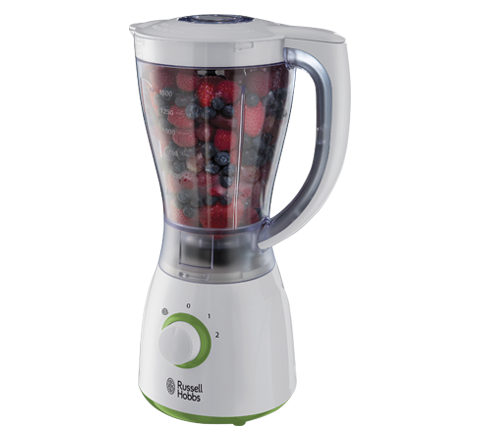 Easy to use and easy to clean, it’s a juicer and personal blender designed with you in mind. Berries, fruit and veggies - even ice. The Mix & Go takes care of it all. The stainless steel blades will blitz your ingredients to the desired consistency. Use it also as a handy citrus press, by attaching the large (oranges and grapefruit) or small (lemons and limes) citrus cone and the citrus press attachment. There’s a pressure activated auto start that kicks in once the fruit is pressed onto the cone. 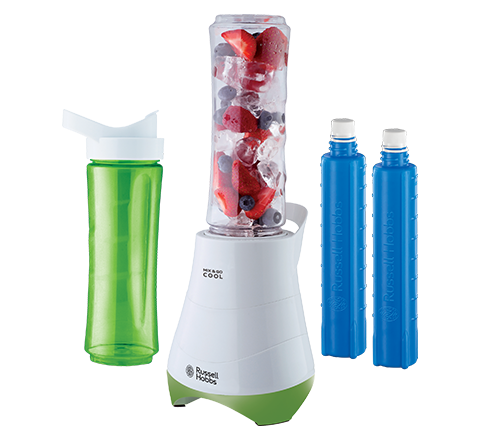 It’s a blender with two portable drinking cups with lids, and two cool units all in one appliance. Whether you love tangy berries, juice or prefer tasty bananas and creamy yogurts, you can mix up a delicious, nutritional smoothie in one of its 600ml containers, blend, and then just take the unit with you. Whether you want to juice fruit or vegetables to make sorbets, add to sauces or simply to drink, the Explore Juicer is a great appliance to get you into healthier habits. If you think juicing is hard work, think again. 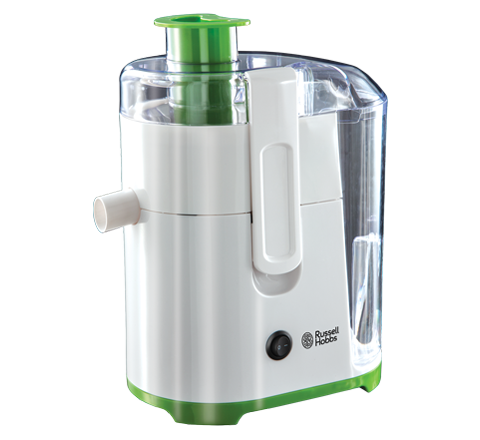 The Explore Juicer has an integrated stainless steel cutter to tackle larger or harder fruits and vegetables. When pieces are smaller they're easier to juice so this feature makes light work of the process. Just put your ingredients into the bowl, press the button and In an instant your ingredients will be chopped and ready to eat or use in your recipe. From making breadcrumbs or dicing onions for burgers to preparing veg for meals, the Explore Mini Chopper can do it all. It is simple to use and makes food preparation stress-free. With 5 simple speed settings, just set the speed, push the button and whisk, beat or mix. Because you can adjust the speed really easily it beats mixing by hand! It also has a choice of durable chrome attachments that you can clip on and off depending on what you’re making. An eject button also makes them safe and easy to remove for cleaning. Mixing and beating just got easier. The Explore Hand Stand Mixer is a kitchen essential that takes the hard work out of batters, cake mixes and dough making. It's ideal if you're new to baking or making meals from scratch as it's so simple to use. You can use it on its stand or as a portable hand mixer. 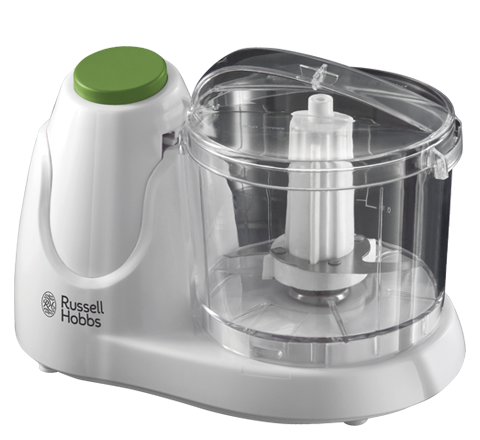 With 5 speed settings and a turbo function it makes whisking by hand a thing of the past. Simply attach the mixer to the side of the bowl and watch it go. It has strong stainless steel attachments that you can clip on and off depending on what you’re making. 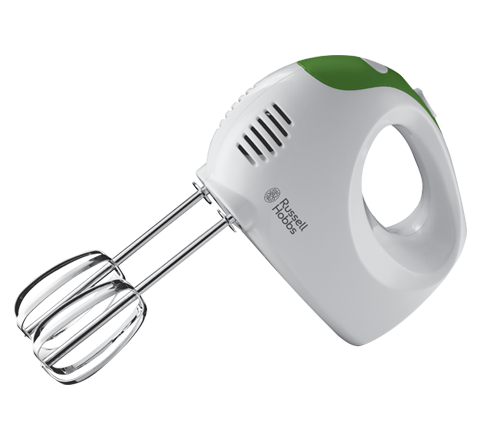 To make it even more versatile, you can detach the mixer from its stand and use as a hand mixer. It’s great for when you’re moving around, mixing several things at once, or simply if it’s more convenient. 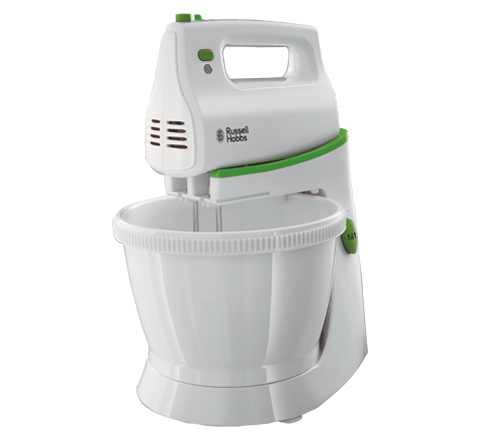 It also comes with 2 stainless steel beaters and 2 stainless steel dough hooks and a practical 3.5 litre auto-rotating mixing bowl that can all be removed for easy cleaning. As well as being pleasing to the eye with its high style, modern white finish, it has been beautifully engineered to give you a product that’s fundamentally easy to use. It also makes cleaning after use easy, with a detachable plastic leg with durable stainless steel blade that you can just clip off and clean. 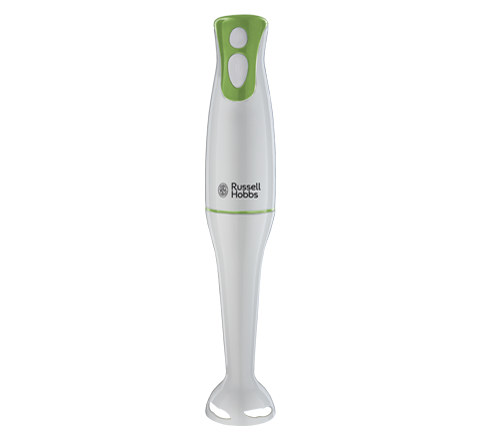 The Explore Hand Blender is a great solution for busy people who love freshly prepared food but don’t want to spend extra time preparing ingredients. 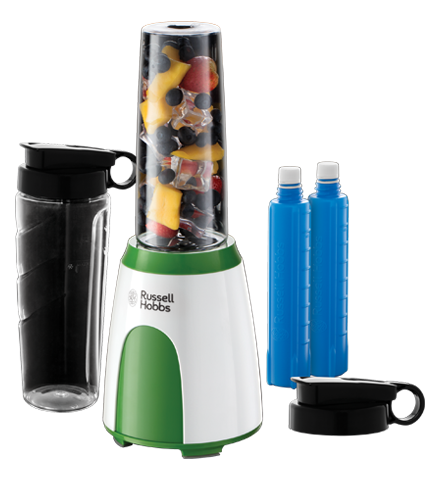 With 2 speed settings plus a pulse function it's intuitively designed for ease of use, blending a variety of ingredients quickly and smoothly to the consistency you require. The large 1.5 litre jug also has a removable cap that means you can add ingredients while it’s blending. With straightforward on/off control, a pulse function, stainless steel blades and a selection of attachments it can slice, shred, grate or cream a variety of ingredients in preparation for your recipe. 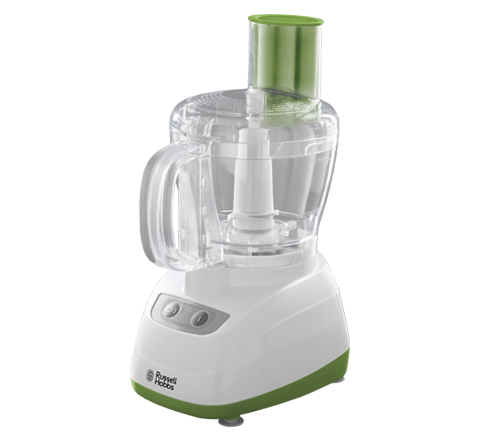 The Explore Food Processor is a high quality appliance with a modern, clean finish so it looks as good as it makes food taste.